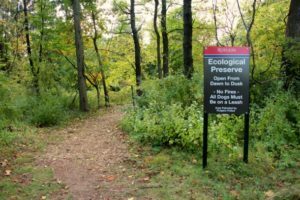 As a lifelong resident of Highland Park, and currently a student at Rutgers I have greatly enjoyed hiking throughout the university’s Ecological Preserve, a relatively pristine area located on the Livingston Campus. The Rutgers Preserve was established in 1976 as an ecological resource. Its purpose is to serve as an aesthetic, educational, and recreational area for the Rutgers community as well as for the residents of New Jersey. This 360-acre Eco-Preserve is the habitat of numerous creatures including migrant songbirds (warblers and towhees). It is also the home of the white-tailed deer. The Preserve is the site of native plants such as Spring Ephemerals and Jack-in-the-Pulpit, as well as Ash, Beech, Hickory, and Red Oak trees. 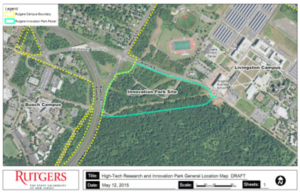 Anyone concerned with environmental matters in the Lower Raritan Watershed should be aware of the proposed Rutgers “Innovation Park” (IP) plan – an infrastructure project to be constructed adjacent to the Rutgers Eco-Preserve site. Rutgers has requested that the New Jersey Commission of Budgeting and Planning allocate $4.75 billion for infrastructure projects on its campuses as part of a Master Plan. Included in this proposal is funding for IP, a major project to be built on the edge of the Preserve. According to the Rutgers publication Business Plan and Implementation Strategy (2016), its purpose is to “promote research collaborations, technology transfer and commercialization, job creation, and public-private partnerships.” IP, an inter-disciplinary learning site with a goal of furthering environmentalism is well-intentioned. However, a project whose mission is environmental may nevertheless be harmful to the Preserve’s ecosystem. A major building project occurring just outside the Eco Preserve’s borders may well threaten fauna and flora within the Preserve itself. The project will result in pollutants from trucks and construction machinery as well as in greater noise levels. Fossil fuel emissions, the primary cause of climate change, have already caused the destruction of species of animals and plants worldwide. Excessive construction noise is harmful to the well-being of animals and plants as fossil fuel emissions and increased decibel levels will not stop at the Preserve’s periphery. The essential question is to what degree, the site will be impacted. If it has not yet done so, Rutgers must conduct a thorough environmental review of the effects of this infrastructure project. 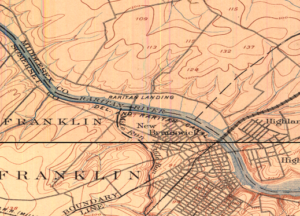 Although in the Rutgers publication there is an environmental assessment of the IP site itself, there is no reference to its impact on the adjacent Eco-Preserve. There should be a comprehensive environmental assessment regarding how the IP project will impact this area. Residents of Central New Jersey and beyond, including members of the Rutgers community who care about protecting this vital habitat, must be given the opportunity to interact with those involved with this project.